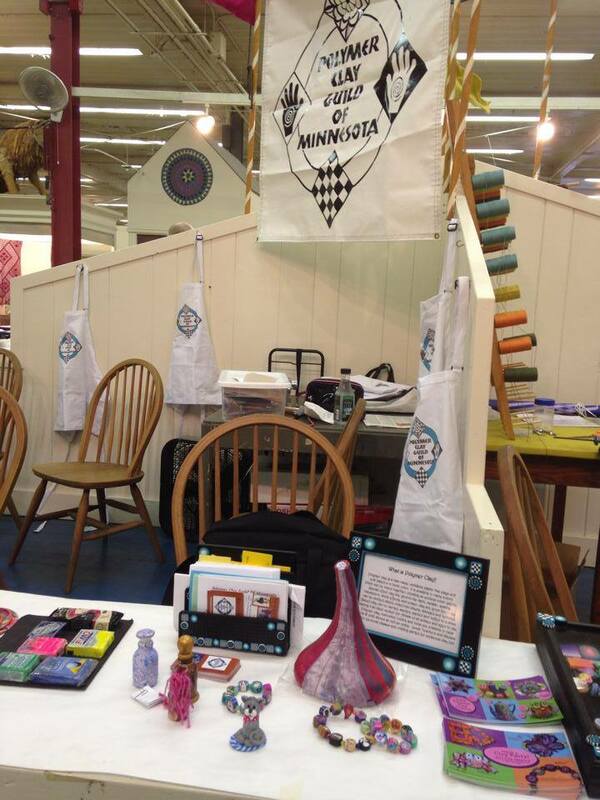 Come see members of the Guild demonstrating Polymer Clay techniques today at the MN State Fair! We will be in the Creative Arts Building from 9am to at least 6pm or later. Several of the prize winners will be there strutting their stuff so you can see what goes in to those beautiful pieces. The Guild event was included in the Powderhorn Art Fair program – see page 14 to see Nicoleta’s beautiful jewelry set and our wonderful demo volunteers, Xan and Grace!